The GOP nominee for governor says his top transportation priority will be to "reduce traffic." He's no fan of restoring voting rights for felons. 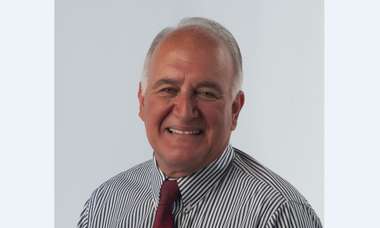 He will push for sexual harassment reform in the Legislature. And the oversight of charter schools is just fine. CHRIS URSO | Times Florida candidate for Governor Ron DeSantis (R) speaks with reporters outside of Franklin Middle Magnet School Tuesday, Sept. 18, 2018 in Tampa. 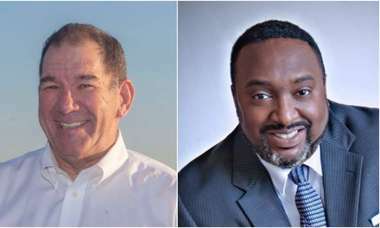 Both DeSantis and democratic rival Andrew Gillum released their education proposals on Tuesday. 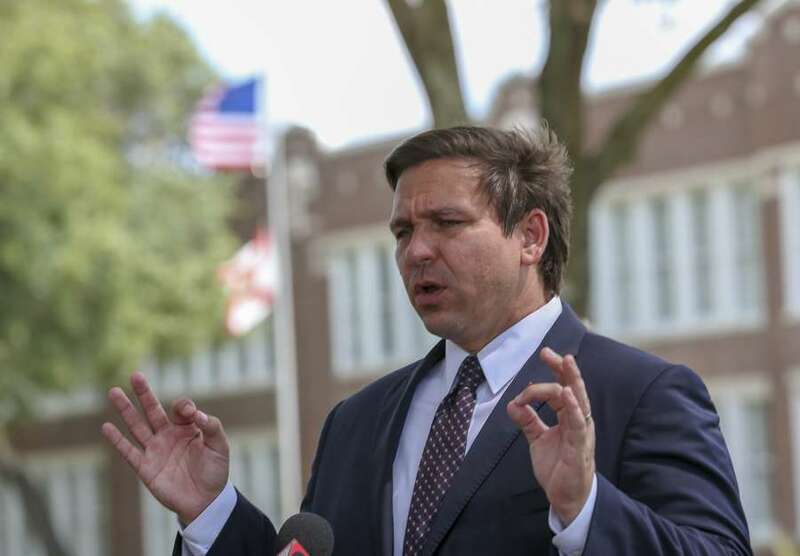 Critics for months knocked Republican gubernatorial candidate Ron DeSantis for failing to talk much about Florida issues are laying out anything but a vague, bare-boned agenda. Wait until the general election, the campaign said. Last weekend, as the former congressman campaigned in the Orlando, he gave us 25 minutes to talk one-on-one. Was Rick Scott right to turn away that federal high speed rail money? Absolutely. It would have hemorrhaged money…It would have put the state on the hook for a lot of money going forward. It would not have done anything to reduce traffic on (Interstate 4). My No. 1 transportation priority is to reduce traffic. What's your view on Brightline (the controversial private passenger train planned between Miami and Orlando)? I have concerns about some of the safety issues that happened in southern Florida, and I have concerns about how it could impact communities on the Treasure Coast, so we'll just have to see how that works out. But I'm definitely not supporting any state funding for it. The state policy on building roads, at least under Rick Scott, seems to be almost exclusively to build toll roads. Is that the way to go? How do you envision reducing traffic? You do need to build more roads. It could be a mixture of tolls and non-tolls. At the end of the day, I'm open to other ways to move people around, but I just have not seen a lot of proposals that I think would appreciably reduce traffic. Is there a need for more funding for transportation? I think we will get it. One of the things about me being able to work productively with the (Donald Trump) administration is, they will do some type of infrastructure bill, and I'll be able to do well for Florida. The amount of federal gas taxes that we send to Washington, we get back less in terms of highway trust fund money than what we send there. Well, look at that proposed Constitutional Amendment that just got shot down. Civics was a major component to that, so that's a tell-tale that we haven't done enough. I just think it should be a priority…It's something that requires much more comprehensive study to provide a foundation to our students. The thing the parents dislike most about Common Core is how they changed some of the curriculum. When I first got elected to Congress, I'd do a town hall, and I'd have parents bringing these math problems. They were just furious because it wasn't just doing math, adding and subtracting like they were taught. It was doing things in this weird, convoluted way. So they couldn't even help their kids on the homework.I just think looking at the curriculum and not having what I consider funny business in there. What's the funny business besides weird math? Go to some of the groups that have problems with Common Core. They identify things. A common complaint is there's not comparable accountability for charter schools (publicly funded schools that are operated privately) as there is for straight public schools. Is that something you would look at? The difference is that nobody's forced to go to any private school, nobody's forced to go to a public charter school. But they're getting public money, taxpayer money, just like public schools. People can vote with their feet on those. We've had some good successes on that front. If you look overall at the Step Up for Students Tax Credit Scholarship Program, I think the results have been very favorable. I think you're 40 percent more likely to go to college, when you control for income and demographics, for people that go through the Step Up program. That's really been a lifeline for a lot of low income families….I'm not saying that I would not consider it…but the school districts don't necessarily have the same market signals that a private school or a public charter school has. If a public charter school's not doing a good job, people aren't going to go there. On the testing culture, the common complaint that there's just too much testing…Do you see that as an issue or a problem? Broadly speaking, what do you see doing differently from Rick Scott? The biggest thing is just that when he came in our unemployment rate was 11-point-something percent, almost 12 percent. I'll be coming in with the unemployment rate somewhere around 4 percent, maybe a little lower. That just means the challenges that we have are going to be much different. I think some of the things that have happened with the environmental issues, they're just more pressing now than when he came into office. That's obviously going to be a focus. It's not true. You look at Restoration Weekend, the Washington Post says it was, quote – 'racially charged.' That means they don't have the goods to say it's about race. I gave a 30-minute speech that's been online for a year. The Washington Post says, 'DeSantis never mentioned race.' Yeah, because it had nothing to do with that. They're trying to use these weasel words to further a narrative without having underlying facts. They got nothing on me. I have a public record of speeches and statements. They got nothing on me, so they're trying to slime me with some type of guilt by association, which is kind of warmed over McCarthyism to try to further a narrative that's not supported by the facts. Do you respect the views of David Horowitz and Sebastian Gorka? Here's the thing. That conference has been going on for 20 years. You've had senators, governors, congressmen, presidential candidates. The one I went to, the keynote speaker, was a Medal of Honor recipient, Clint Romesha…It's an opportunity to go. You have 200 to 300 conservative donors. I've built support from there. None of them have ever done anything that I've seen that had anything to do with any time racial statements, whatever the Washington Post was trying to say. It's a total hit job…I reject the idea that somehow everything somebody else says that I've ever been in (at an event with), that somehow I'm responsible. Where is Florida heading in the wrong direction? There's a United Way report that says 44 percent of Floridians are not making ends meet or barely making ends meet. Where else does Florida have work to do? On the evironment we have work to do … And also I don't support automatic restoration of voting rights (for felons). I'm going to be very tough on crime, and I'm never going to budge on that. But I also don't want to take people who aren't a danger to society and get them into the system…I don't want some young kid if they get caught say using marijuana, I don't want him to get a criminal record, I'd rather divert them. Where that gets tricky is you don't want a situation like you had in Parkland, where you had this guy who was dangerous and they turned a blind eye to that. Speaking of Parkland, are you hoping more schools bring in armed people? When you have trained people who are licensed and carry a firearm who are on the staff, having a process where that can be done, to me you will deter people from wanting to try to (attack) a school….I'm advocating that we have a program where you can have retired police and military assist with school security. … I would never require a teacher to carry a firearm. How's the culture in Tallahassee going to change with Gov. Ron DeSantis? One is I am going to get this sexual harassment reform across the finish line. We need to do that. I worked on that in Washington when they had that secret slush fund where members of Congress would have these settlements paid by the taxpayers that would be secret….I'm supportive of some of the ethics reforms that will be on the ballot. … You do have a revolving door in Tallahassee where people serve in the government and then go into lobbying. That's not a good thing. I support a five-year period (before an ex-lawmaker can lobby). On those Amendments, how about banning dog racing? I don't think that should be in the Constitution. Probably half of those amendments are policy questions, rather than constitutional questions. Well, vaping, the racing. Whereas something like two thirds (legislative support) to raise taxes, that's a structural change to the constitution which I think is good. What about gambling (and the amendment giving voters the authority to approve or rejected gambling expansions)? I don't think gambling should be in the constitution. Are you sympathetic to those who don't want gambling expansions in Florida? I am not going to advocate gambling expansion in Florida. But that doesn't mean you're going to fight it. Well, what we have now is we have discrete pockets. You have the compact with the Seminoles (which operates the Seminole Hard Rock Casino & Hotel in Tampa) that brings in a lot of money to the state. Florida needs to be a family-friendly state. I'll draw the line to make sure whatever is done we'll be a family-friendly state. Overall, does Florida have the revenue and funding we need? Do schools? The way you deal with that is you expand the economic base, you don't raise taxes. As you expand the economic base you have more investment in Florida, more people working higher paying jobs. You will then have more revenue with which you can direct for some of these things. Obviously education needs to be funded, although I think it's pretty clear if you look across the country per-pupil spending is not an indicator of whether you're doing well or not. State pensions. Any reform plans? I think with new employees I'd like to see more of a 401(k) type deal as they come in, but I'm not going to mess with anybody who is already in the system.